In case you are a designer then we already know how much you love working with vector illustrations. Be it a small design element, or the entire artwork itself, working with vectors is always easier than the tradition jpeg files. 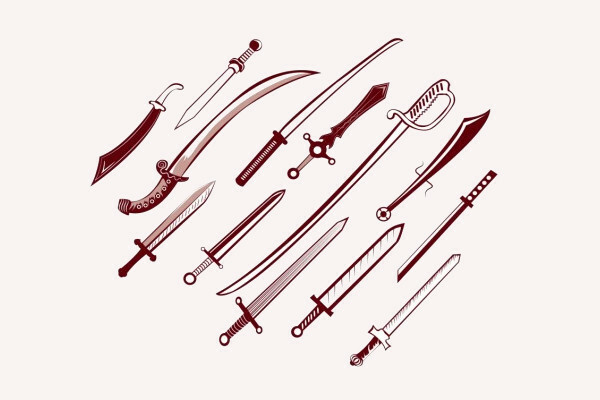 Here we present various vector illustrations for download that are related to the theme of swords and knives to you. You may also seeCartoon Vectors. These illustrations can be used for multiple designs themes and can be paired with a couple of tribal vectors as well to give it a native touch. Scroll through the pages and find the best vector for your needs. You may also see Line Vectors. 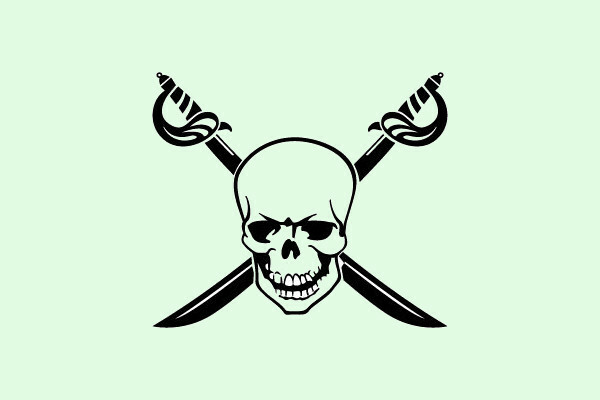 Check out this cool emblem that can be made into a company logo or a tattoo design for your secret cult. 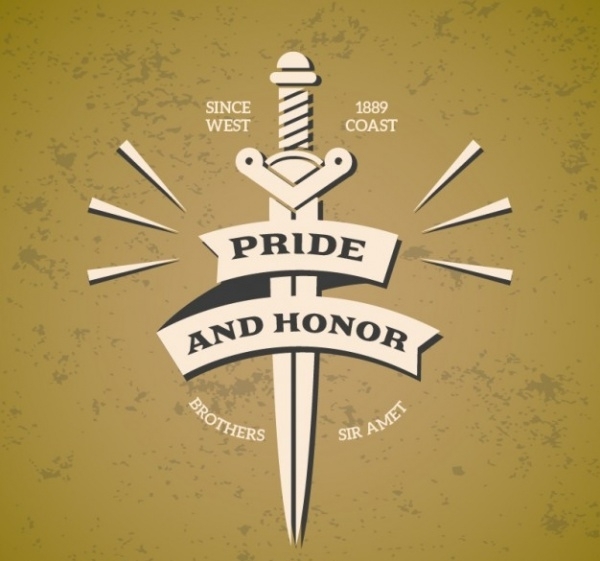 Download this free vector illustration from the given link. You may also see Doodle Vectors. 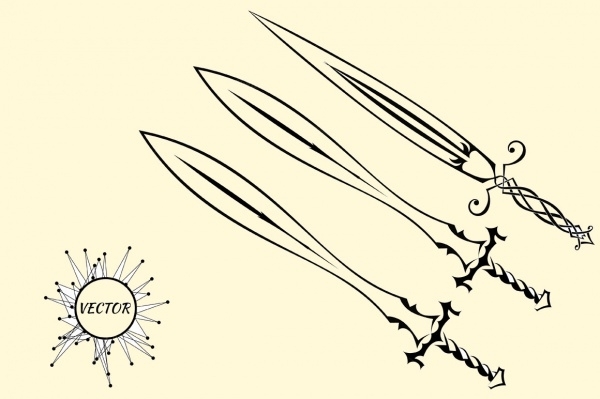 Here is a collection of killing daggers with all kinds of fancy curves and cuts depending on the skill of the holder. This too is available for free for you to download. Here is a nice design idea that can be implemented in much better possibilities. But you can look at it and draw some ideas for your own projects or build your online portfolio. 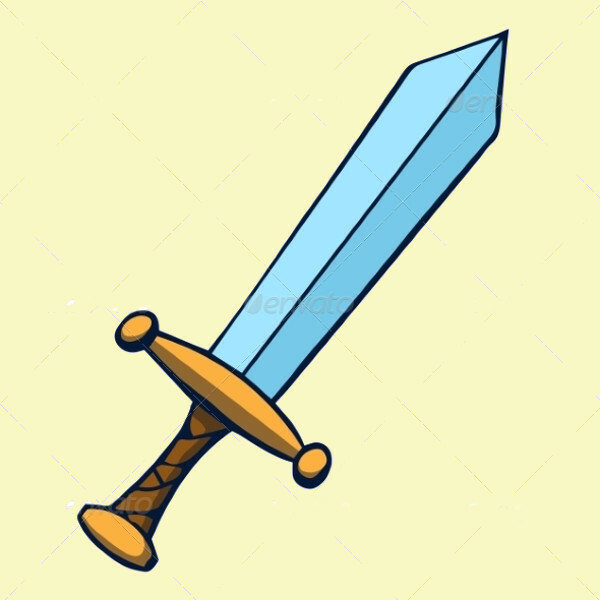 This is a premium and professional design vector illustration of a broken sword along with other design elements that you can download in eps, psd, ai or jpeg file formats. 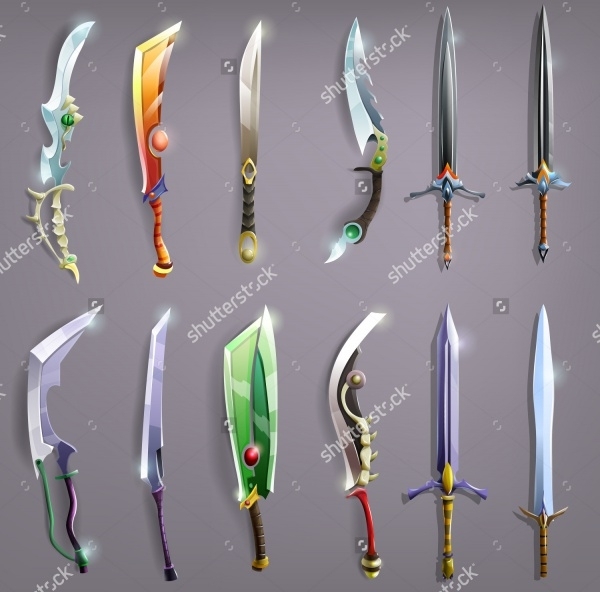 This is a premium vector collection of different swords that according to the designer can make a great set for video games and such animations. 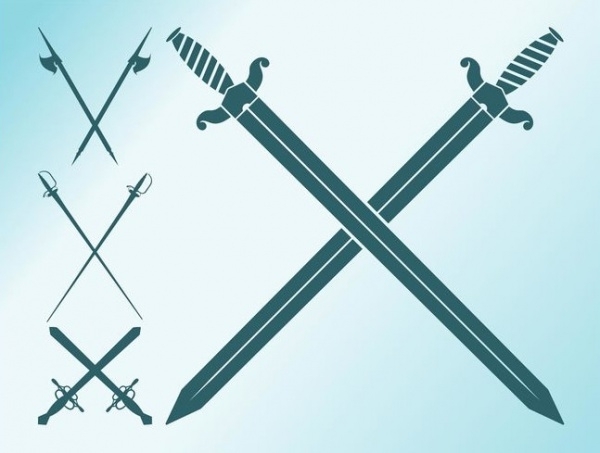 Check out this cool and realistic representation of the mystical knives and swords you see on the television. You can use each of the designs separately or together. 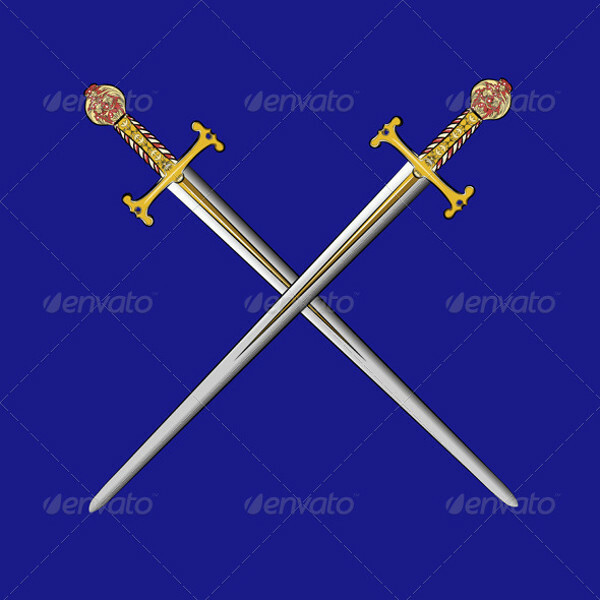 Check out this professional and truly detailed premium vector illustration of three different swords that are fully editable and can be downloaded in multiple file formats. 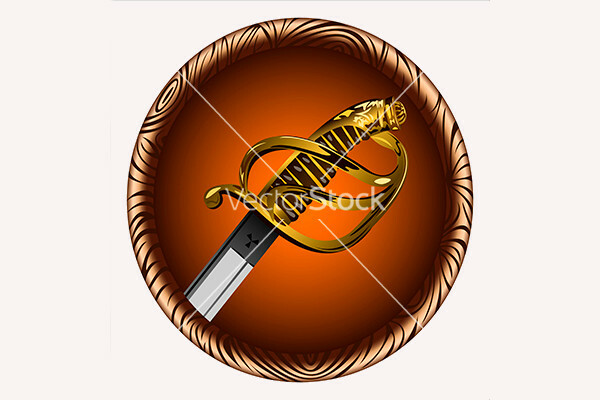 Swords always make a great design element for a tattoo and here is the design of the kind of sword you can place in your tattoo design. Check out this premium download at the below-mentioned link. 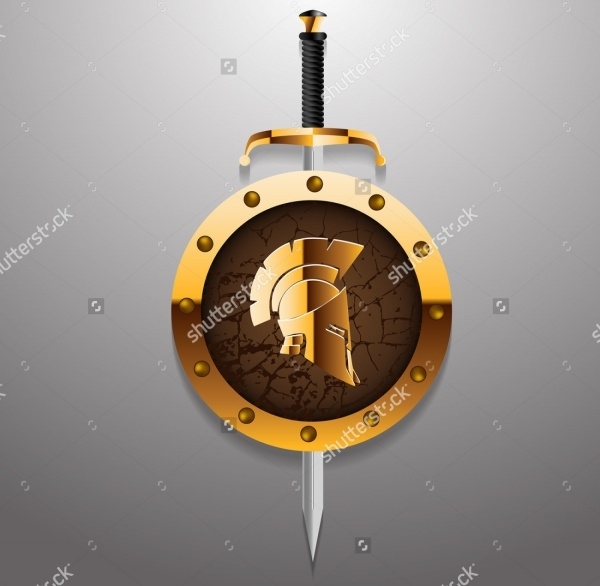 Here is a high-quality stock vector illustration available to you with an antique roman or greek helmet used by soldiers with a golden border around it and sword piercing through the center. 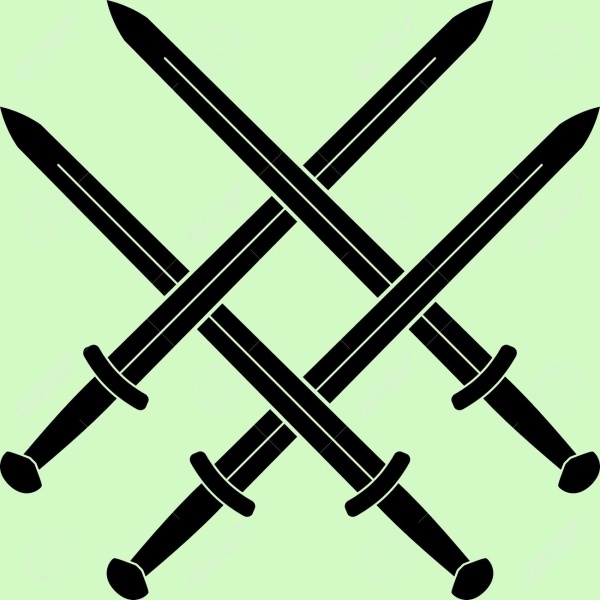 Swords in the restored palaces are usually placed criss-cross from each other. 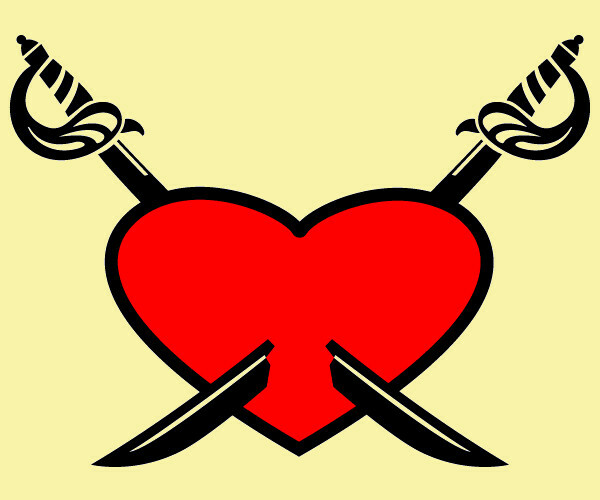 And here is a vector illustration representing the swords in a similar manner, but upside down. You can know play tic tac toe with this sword design. 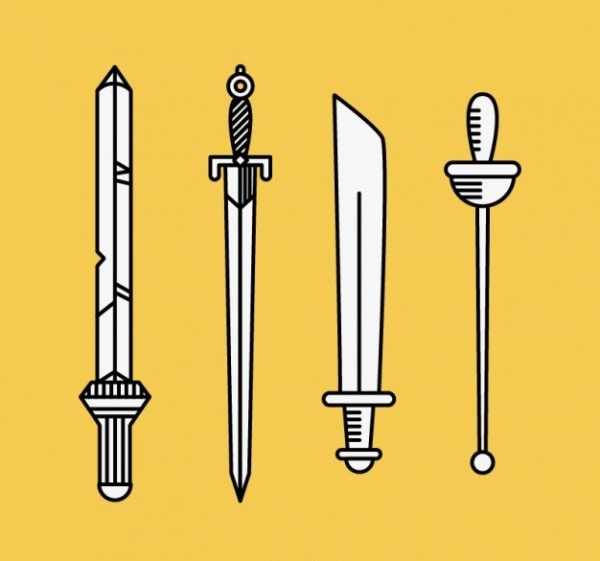 Or you can use it to display the collection of swords in your graphic design. And if you join the proper corners, you might have the symbol for emptiness. 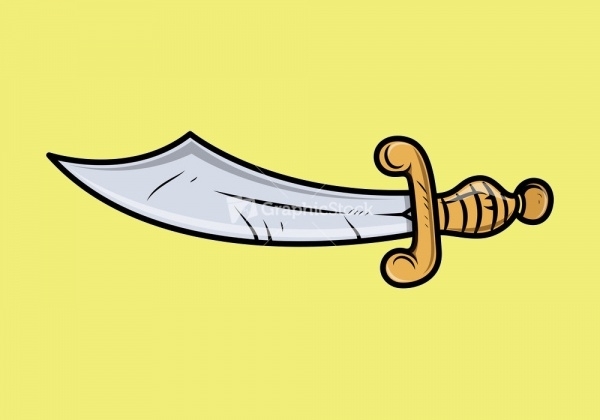 Check out this cool vector design for a cartoon sword. It is a premium design but it highly unlikely that you would want to pay for it. You could use it for inspiration for your own sword vector. 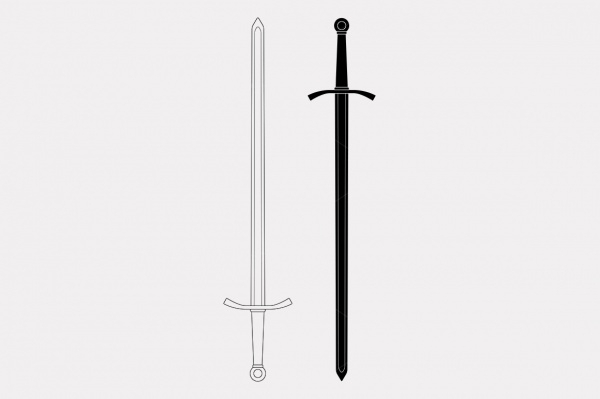 Here is a rather sleek design for a sword that is a two handed medieval knight sword vector illustration that you can download from the given link for a price of three dollars. 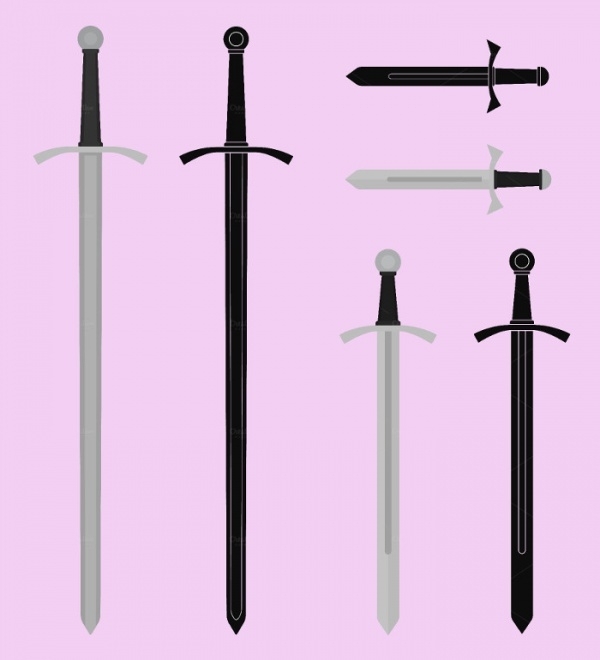 Here is a free collection of 4 different hand-drawn sword designs that you can download from the given link. You can isolate each of the design for using them individually. 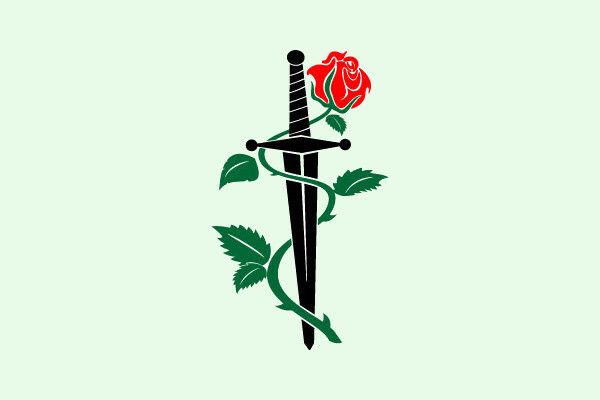 This too is a collection of different swords crossing with each other giving a fight like nature to it. You can download this vector for free from here. 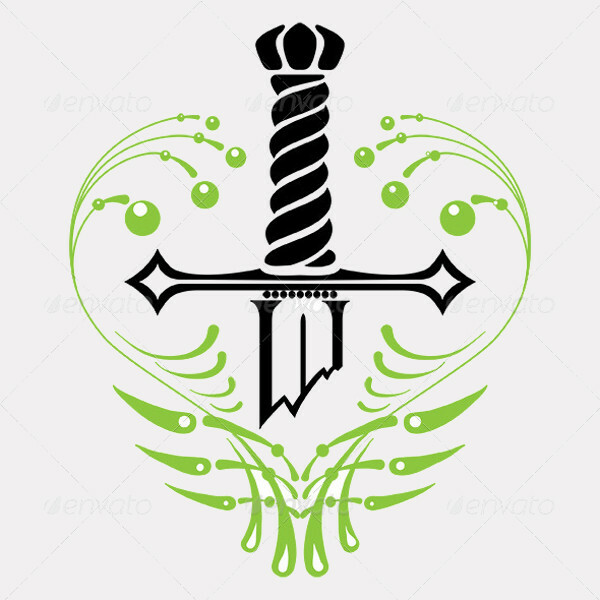 Sword outline vectors, as you have seen, it will be a great idea for your tattoo design with maybe something wrapped around it like one of the designs above. 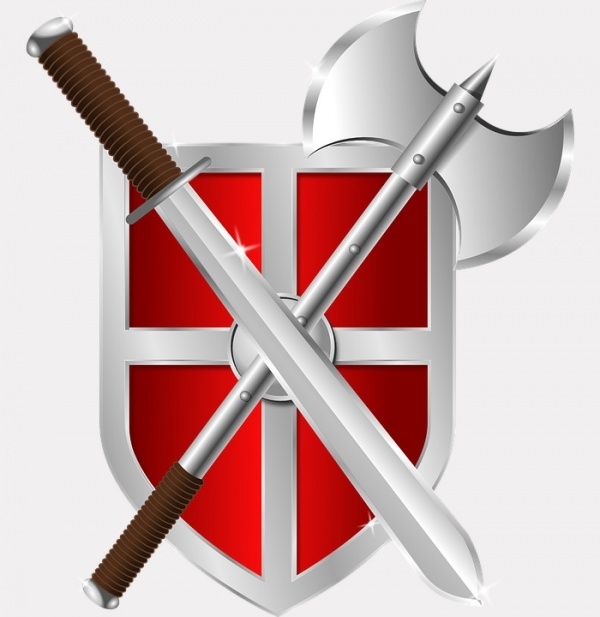 Or you can add it to a shield vector and give it a battlefield look to a soldier.